........St.Mary´s Boys Club Newcastle, Middlesbrough, Gateshead, South Coast United, Marconi Fairfield, Safeway United, Western Suburbs, APIA Leichhardt ! ! ! Peter Wilson was born on the 15th September, 1947 in Felling, England, and began his football career in the Tyne-Wear region in north coast of England. "When Peter was a boy, it was nothing but football, football, football," said his mother Joan Wilson at the family home in Elldene Crescent. "He had made up his mind he wanted to be a footballer, and even though I say it myself he has always been dedicated to that and nothing else. He never smoked, rarely had a drink, and was always concerned about his diet." Peter went to Heworth Felling Secondary School, playing first for the school team, and then for St. Mary's Boys Club in Newcastle. St Mary's is one of the best juniors teams on Tyneside, and it was here he spotted first with Burnley, with whom he had a trial, than by Middlesbrough, whose north east scout Billy Brown, persuaded Wilson to sign on Ayresome Park as an amateur. From 1964 Wilson played in the Middlesbrough youth team. "I first saw him as a 15-year-old," recalls Brown. "He was a big lad who impressed me tremendously. I thought he had the potential to become a good Second Division Player." Unfortunately for Peter (although fortunately for Australia), Brown`s thoughts were not shared over the next two years by Middlesbrough manager, Stan Anderson, nor his assistant, Harold Shepherdson. "In the end, we gave him a free transfer because we honestly felt he would not make it at league level," explains Shepherdon. "He had one year with us as an amateur, then we offered him professional terms. 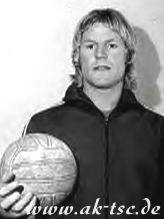 In April 1966 Wilson signed a professional contract and played in the Middlesbrough reserve team. Over the next two seasons he played regularly in the reserves, usually at centre half. He was the determined, conscientious type who never gave us any trouble so, although he never made it with Middlesbrough." Wilson made just one appearance in the Middlesbrough league side. 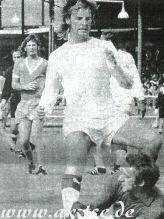 He deputised at full back for the injured Geoff Butler in the 1967-68 season, on 24 February 1968 at home against Charlton Athletic. It was a one-all draw. It was at the end of that season he as given a free transfer, and he played half a year with Gateshead in the Northern Premier League. About that time he seemed to be getting sick with soccer because he had not got to the top. He was frustrated and that made him decide to emigrate. 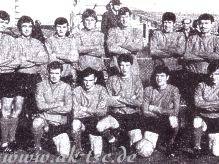 Then in the northern winter of 1968/69, Peter Wilson accepted an offer from Australia and transferred to the South Coast United Soccer club, a team from south of Sydney, New South Wales. 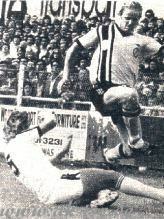 In January 1969 Wilson played his first game for South Coast United. In was a practice game against the team of the HMAS Albatross Naval Base, and the South Coast won 9:1. Wilson became one of the team's best players. 14 games in a row, South Coast Utd was undefeated in the championship and won the New South Wales State League. Unfortunately, the Team could not reach the Grand Final. 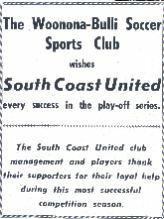 At the end of the season, South Coast Utd had a long list of injured players in the crucial Finals games. South Coast Utd lost against St.George in it's first Finals game, but a 2:0 win over Hakoah gave the club hope again. However, in the crucial game against APIA, South Coast Utd suffered a convincing 2:7 defeat. The chance of appearing in the Grand Final was lost. Despite this, Wilson was chosen by the newspaper "The Australian Sunday" as it's player of the year. Later, he was selected into to the team of the year and awarded best newcomer of the league. According to the magazine "Soccer World", Wilson also won the goal of the year in the game against Polonia, a header from 20 meters. Peter Wilson's second year in Australia was a disappointment. South Coast Utd managed only 11th place in the league, and third-place in the Ampol Cup. South Coast Utd lost the third-place play-off game against St.George 1:4. But despite these set-backs, Wilson commenced his international career with Australia. South Coast Utd finished in fifth place in the championship. In the Ampol Cup the team was unsuccessful. In the match against Marconi Fairfield, Wilson was send off because of a foul. However, on a personal note, things were better as Wilson became the captain of New South Wales and of Australia. 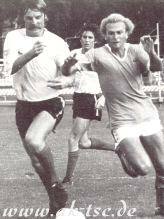 At the beginning of the season, Marconi coach Rale Rasic signed Peter Wilson and Maxl Tolson - also of South Coast to Marconi Fairfield. Wilson's transfer fee was $AUD 6,000. Marconi was one of the strongest teams in Australia and after a successful season the team finished League Runners-up of New South Wales. For the first time the best teams from the States of Victoria and New South Wales contested the first "all-Australian" Championship. After victories over South Melbourne, Footscray, and George Cross of Victoria, Marconi had to win it's last game of the finals in Melbourne against Hakoah of Melbourne, as Hakoah Eastern Suburbs of Sydney had the better goal difference. Marconi scored after nine minutes against Hakoah, but six minutes later, Melbournes Brajkovic scored the equaliser. Marconi pressed for the goal they needed, however, all it's attacks proved fruitless. But in the 76th minute, Wilson scored what proved to be the winner for a 2:1 Marconi victory.The win gave Marconi entry to the Grand Final in Sydney against old rivals St.George. In a hard-fought Grand Final, Marconi won 1:0 from a Tolson header. 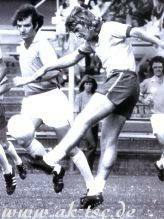 Marconi also reached the 1972 Waratah Cup Final, but St.George defeated them 3:2 after extra time. In the Ampol Cup, Marconi were joint-third third place together with Western Suburbs, after both Teams had played a 1:1 draw and decided to share the honour. In spite of the big success with Marconi, Wilson was transferred for a then record sum of $AUD 12,500 back to Safeway United (formerly South Coast United). 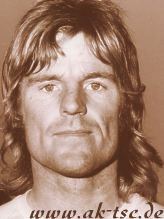 In his first year back he was player-coach, but the team managed only sixth-place in each of the 1973 and 1974 seasons. In the Cup, Safeway fell in the qualifying round. Wilson again decided to change clubs. For $AUD 9,000 Wilson transferred to Western Suburbs in Sydney. Since 1974, Wilson had worked in a mine near Wollongong. Three times a week he had to make the long drive to Sydney for training if his working shift finished in the afternoon. Nevertheless he didn't consider moving to Sydney. 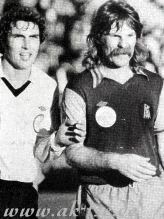 In his first season at Western Suburbs, Wilson had some injury problems, and in the game against his old team-mates of Marconi, he was send off because of a hand-ball on the goal-line. During the whole season, the team could never play with it's best selection as the club had a big injury list. At the end Western Suburbs only managed eight place in the League. 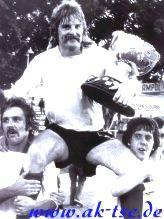 In the Rothmanns Cup Wests reached the final where they were defeated by APIA Leichhardt 0:2. This was a disastrous year Western Suburbs. In spite of the very high expectations, the team reached only the ninth place. However, the season began so successfully. After some solid victories, coach Archie Blue reached the Ampol Cup Final. Wests opponent were Hakoah Easten Suburbs. In around a hard-fought game it stood 1:1 after 90 minutes of regular playing time. Kevin Mullen of Hakoah shot in the 55th minute to take the lead, but only two minutes later, Warren Turnbull equalised with a header after a cross from Alan Ainslie. Under the direction of captain Wilson, the defensive line of the Wests allowed nothing through, and held firm against Hakoah's desperate attacks. The game went into extra time. Wilson had played with a painful back condition, but despite this, he was the best player on the park. The 103rd minute of the extra time, Ainslie asserted himself out wide and played the ball to Tom Morrow who, in turn, send to Wilson who had joined the attack, a short pass in the middle. With an powerful shot from six meters, the captain of Western Suburbs hammered the ball in the net for a 2:1 result. The cheers were loud. 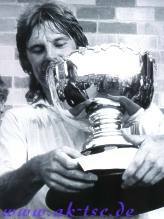 Wilson was carried off the field on his companions shoulders, after he had taken possession of the Ampol Cup and a winner's cheque of about $AUD 2,000. Captain Wilson was chosen the best player of the game. The Australian National Soccer League (NSL) was formed. It meant that there was now an Australian Championship with teams from Sydney, Melbourne, Adelaide (South Australia), Brisbane (Queensland) and Canberra (the Australian Capital Territory). Western Suburbs was First league leaders of the NSL after the first round. They were highly-placed in the league for a long time. However, at the end of the season the club lost important games and it managed only fifth-place, and out of the Finals. In the Cup, Western Suburbs failed in the 2nd round after penalty shootout, losing 5:6 against the eventual Cup-Winner Brisbane City. Wilson was chosen in the NSL team of the year. Wests managed only ninth-place in 1978. In the Cup of that year, they were eliminated 1:0 in the quarterfinal by Newcastle KB Utd. 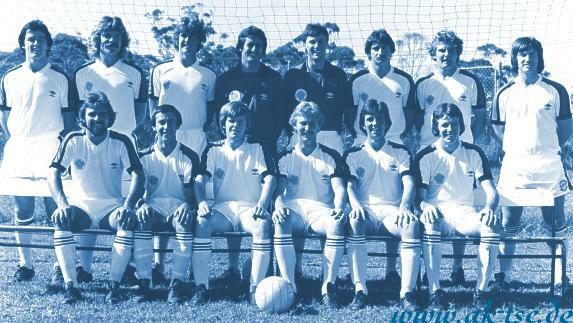 In 1979 the Western Suburbs Soccer Club merged with APIA Leichhardt and played henceforth under the name of APIA. This still did not bring success. Certainly, APIA won third place in the Ampol Cup defeating St.George 3:0, but in the championship they finished a disappointing eighth-place. Their run in the National Cup was over in the 2nd round after a 2:3 defeat against St.George. 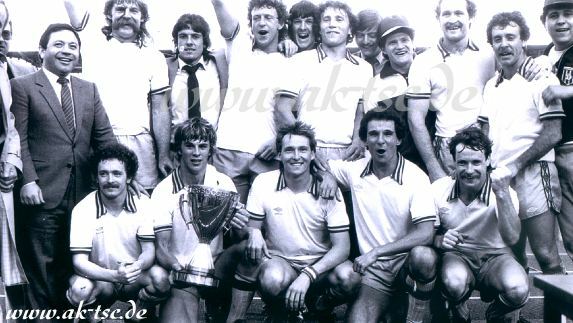 In 1980 APIA Leichhardt again managed only eighth-place. In the Cup the team was eliminated in the 2nd round against Sydney City 1:2 after extra time with. After a good season, APIA Leichhardt finished fourth. In the Cup they reached the quarterfinals. Wilson played an outstanding season and was again selected in the team of the year. Attempts were made to have him return to the national team. However, Peter decided not to make a Socceroos comeback. 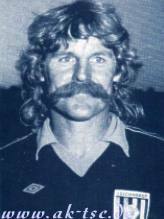 The 1982 NSL season should have been Wilson's last. On account of an Achilles heel injury and major back problems, Wilson could made only eight appearances for APIA in the championship. After a 0:3 home defeat in round 22 on the 11 July against Sydney Olympic, APIA sacked coach Willie Wallace who had been a Scottish international player, and had won the European Cup with Celtic in 1967. Wilson took over as player-coach. But Wilson's continuing injuries meant that from then to the end of the season, he could only direct things from the bench rather than on the field. After another poor season, APIA finished seventh. At the Philips Cup, the national knock-out cup, APIA Leichhardt reached the Final. APIA was only an outsider against Heidelberg United. Wilson wanted to play in this game, three days before his 35th birthday, but needed significant medical attention in order to get him fit for the match. What nobody knew was that this would be Wilson's last game. Captain-coach Peter Wilson was only able to participate in this game at the last minute after some pain-killing injections. He was desperate to play alongside his team mates, because it meant he could give his best efforts to help his team. The other hero was APIA's goalkeeper Bobby Parkes. After just two minutes there was after a foul against Jim Campbell and penalty kick was awarded to Heidelberg. Parkes saved the spot-kick taken by Gary Cole, but the referee required the kick to be retaken as Parkes had moved too early. So Cole had a second chance. However, Parkes also parried the second shot. 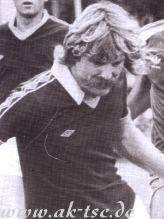 Parkes won selection into APIA's team after regular number one Greg Woodhouse got hurt in a league match. A few weeks earlier, Woodhouse wanted his spot back in the starting eleven, but coach Wilson said no. Wilson said he couldn't take Parkes, who had shown outstanding form, out of the team, and he was right with this decision. After a cross from Jimmy Tansey in the 63rd minute, Heidelberg took the lead by a headed goal from Campbell. Wilson brought Marshall Soper on for Brian Godzik which proved an inspired choice. Godzik made life difficult for his opponent Tansey, and this allowed APIA to play with much pressure and more aggressively. In the 79th minute McBreen made a good run past Taylor but before he could shoot properly, he was tackled from behind. But the ball was already on his way, bounced off Charlie Yankos leg past the surprised goalkeeper Jeff Olver to equalise. 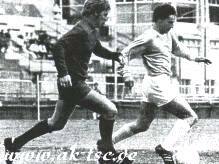 Five minutes before the end, Godzik stormed along the right wing and crossed to Terry Butler who shot in the near corner. It was unable to reached by Olver and sent APIA into a 2:1 lead. During the game Wilson crashed heavily in an air battle with Jim Campbell. However, he played in spite of a strongly bleeding wound, a deep cut above his right eye, and led his team to a famous Cup win. After the final whistle, a proud captain Wilson held the Cup in his hands, for first time a player-coach had done so. After Wilson left the Melbourne Olympic Park field, he never again played an official football match. In spite of the big success in his game against Heidelberg, it was a quiet departure of one of the best Soccer player of all times in Australia.